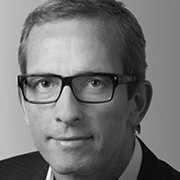 Jos Baart is Vice President for Sales and Marketing at Flexenclosure. His previous roles include senior strategic business development, product marketing, sales and sales support positions at Ericsson (both country and group level) and at Lavastorm Analytics where he led the EMEA Sales function. During the past decade the data center market has grown significantly. The pace of that growth has varied in different parts of the world – faster in the developed nations (with the establishment of hyperscale enterprise and colocation data centers) than in emerging economies – but there is no doubt that it is accelerating everywhere. This, of course, is not surprising. Businesses have become extremely data dependant. They need data for myriad activities, including explaining the behavior of their customers, predicting market trajectories, securing the processes for revenue management, ensuring compliance and detecting irregularities and fraud. Our national economies are increasingly digitally dependent. Governments and regulators depend on data for more accurate insights in to the societies they serve. And consumers and businesses in general generate huge amounts of data in the ever more connected world in which they live and operate. The deployment of hyperscale data centers has typically been in a relatively small number of central locations. However, this has to change. The development of new IoT applications; the caching of content to reduce latency for data users; the emergence of technologies that require processing power to be available closer to where the data is generated or needed (such as autonomous vehicles); and the expansion of mobile telecom networks into previously unconnected areas of the world is all fueling a boom in the deployment of data centers in more geographically dispersed locations. Data and data handling is increasingly moving to the edge of the networks and closer to the users. This does not mean that the growth of data centers in central locations will decrease. On the contrary, it will continue to grow at a good pace. It will be outstripped, however, by the growth of new smaller data centers in the range of 0.5-5MW. In some smaller or less-developed countries they’ll be core facilities, while in developed economies they’ll be known as edge data centers. The naming is somewhat irrelevant – the result is that the size of the total data center market will expand very fast. Can they be safely built as fast as they’re needed? Every new building project has its challenges, especially data centers; anyone who has built a data center will be painfully aware of the risks involved. This is borne of the necessary integration of the building itself with a vast array of sensitive high-tech equipment: power systems, cooling systems, security systems, air flow structures, fire detection and fighting systems, facility management systems, etc. They all need to be dimensioned and installed in such a way as to interoperate optimally. Systems and space need to be tightly integrated into a highly tuned machine. In order to achieve this, there needs to be a high degree of coordination between civil works builders, equipment vendors, system integrators and general contractors. This, of course, can present significant challenges and the risks of running over budget and over time are high. So if data center capacity is to grow as fast as we need it to, it’s time to consign traditional construction processes to history and rethink the way we should be deploying data centers going forward. The good news is there is a solution. It can be done the traditional way, constructing a new brick and mortar building at the location, followed by on-site installation and integration of the technical equipment. As described above, the risks inherent in a project managed this way are not acceptable. A modular building can be built remotely and then put together at the site once the foundations have been laid. However, while some construction time might be saved with this approach, the risks associated with shipping, installing and integrating all the technical equipment on-site mean this option is not much of an improvement. Taking the prefabricated concept a step further, it’s possible to build single-function modular blocks in a factory (cooling modules, power modules, white space modules, etc.) and then ship them to the site for installation. The potential disadvantage is that these single-function blocks are predefined and therefore the overall data center solution may not be fully adapted to the customer’s exact needs. It is certainly a better solution than the first two options above, however, as this approach allows for more pre-installation and pre-integration in the factory. Many new data centers will still undoubtedly be built using the three methodologies described above. 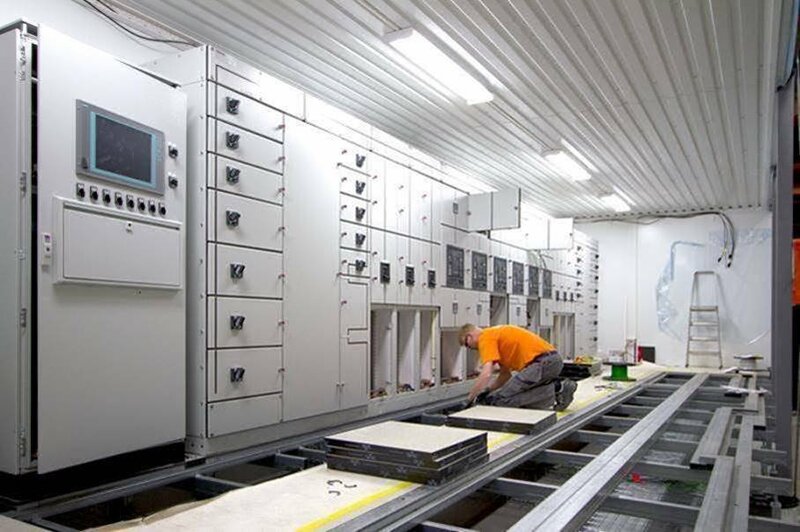 However, it’s clear that the segment promising the greatest growth will be entire bespoke data center buildings that are completely prefabricated, with all technical equipment and systems pre-installed and functionally-tested prior to shipping to site, where they will simply be put together and commissioned. The advantage of this approach is that with most of the installation done in a clean-room factory environment, it’s possible to gain a high degree of control over vendor coordination, risk reduction, quality of installation and integration, cost management and on-time delivery. I believe that this industrialization of the data center building process in a specialized off-site factory environment is not only the logical and sensible way to build new data centers, it is the only way that new edge data center facilities will be able to be delivered in pace with the anticipated demand. This off-site industrialization of data center construction, installation and integration is not limiting in any way. On the contrary, it allows businesses to adapt and grow faster. Such data centers are fully adaptable to the requirements of the data center operator, they scale better with business growth and costs of expansion are predictable. Combining bespoke design with this industrialized process allows a facility to be created according to specific individual customer requirements and can include Uptime Institute tier certification – for both design and build. In fact, there is no limitation to what can be achieved, which allows the data center to be fully aligned with business goals and to secure the shortest possible delivery time, lowest possible costs, highest possible quality and best possible scalability. Most importantly, this industrialization of the data center build process significantly reduces risk – the critical shared requirement of both data center operators and their customers. The future of reliable data center construction is secure.